Nick Alston, a Los Angeles private investigator, is hired to find the kidnapped son of America’s richest and most hated man. Decades later in Dallas, Alston’s son stumbles across evidence from JFK conspiracy buffs that just might link his father to the shot heard round the world. Violent, vivid, visceral: FEVER CITY is a high-octane, nightmare journey through a Mad Men-era America of dark powers, corruption and conspiracy. 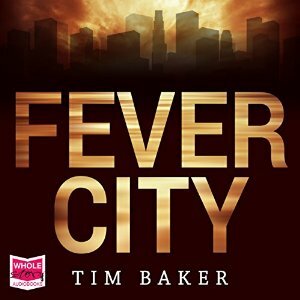 FEVER CITY is available from Amazon, iTunes and Whole Story Audiobooks.